I got to sew today. It’s been more than a month and I was almost ready to tear up. Strange because I only rediscovered sewing a couple of years ago, out of frustration. I thought I’d finally, finally try customizing something to my own measurements, just winging it by adding things here and there, not even researching it like I would normally do before trying anything new, and when I tried on the dress I was shocked at how good it felt. Just right. And strangely, yet logically, because it felt right, it looked right. I got to work on my jacket and of course, made a mistake. Usually it’s not big deal when I do, just pick it out and redo, except with a waterproof jacket, you’re then leaving holes that can leak rain. This fabric actually handles very nicely. 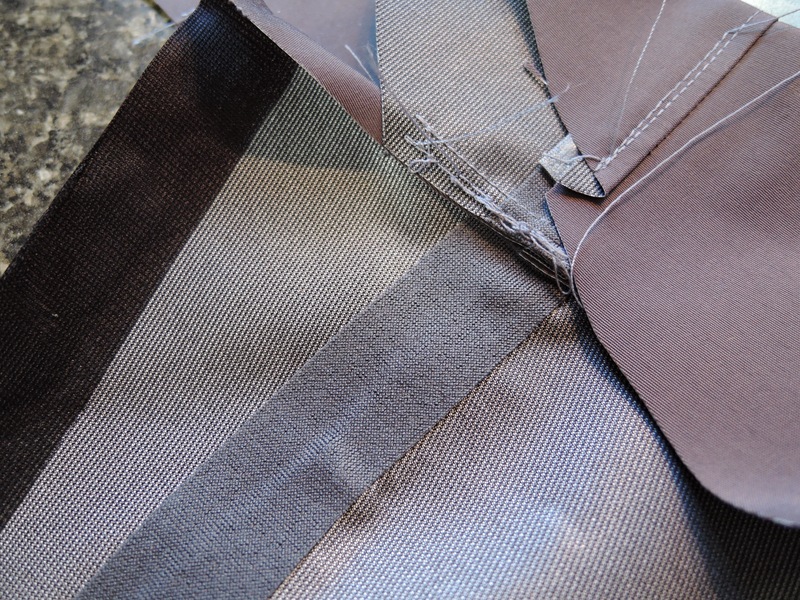 I tried hard to make a mess of it with a sample piece, which also shows the seam sealing tape. I haphazardly sewed through multiple layers of the fabric, which I knew I’d have to do in the jacket (less haphazardly), and it worked fine. 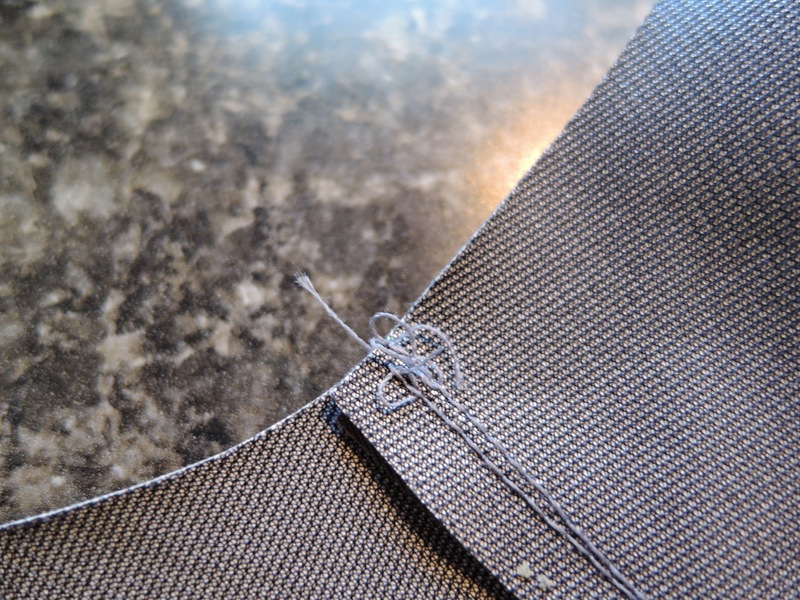 The black edge is actually the selvage edge of the fabric. 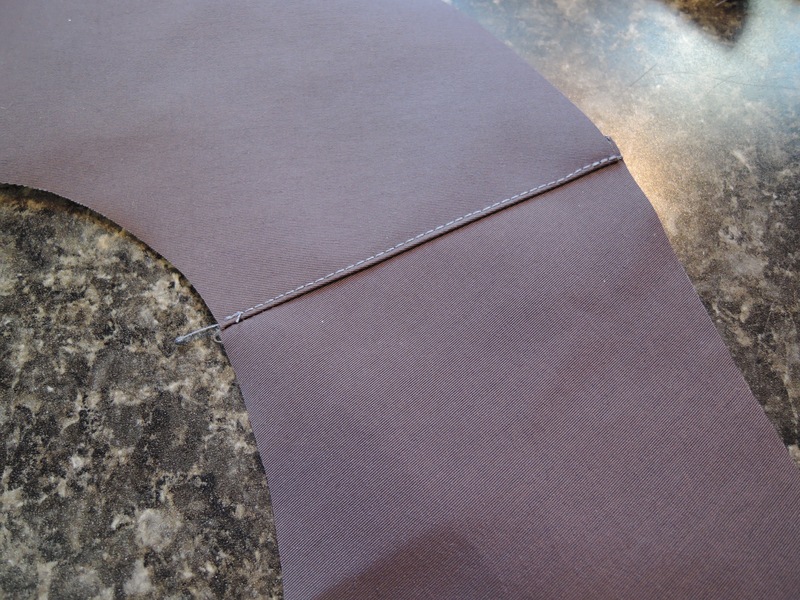 Here’s a photo of one side’s pocket done with seam sealing tape around the outer edge. A lot of the things that were recommended for sewing waterproof fabric I’m finding to be optional, due to my laziness. First, the teflon presser foot, which I forgot about while testing. Second, the non-stick pressing cloth. I have not had any of the seam sealing tape stick to my iron. Maybe if I ironed the wrong side of it some residue might get on the iron, but so far, so good. I am using a Schmetz number 8 Microtex needle with regular polyester thread. 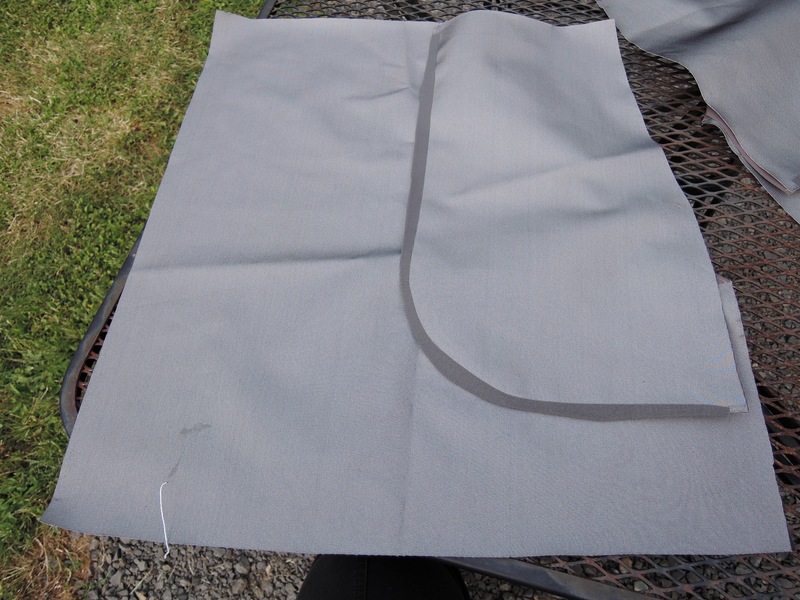 I realize I haven’t gotten to the hard part of the jacket–the hood, facing and zipper are sewn in one knock down, drag out scary seam, so this may change. The only issue I’m having right now is with the bobbin tangling a bit. I always hold the threads while starting a seam so I’m not sure what’s causing it. Oh, I also wanted to show off my new camera ‘s macro setting, which I’m loving.